Task: to improve and further develop Optimus mini three. Optimus mini six is a petite member of Optimus keyboards family. 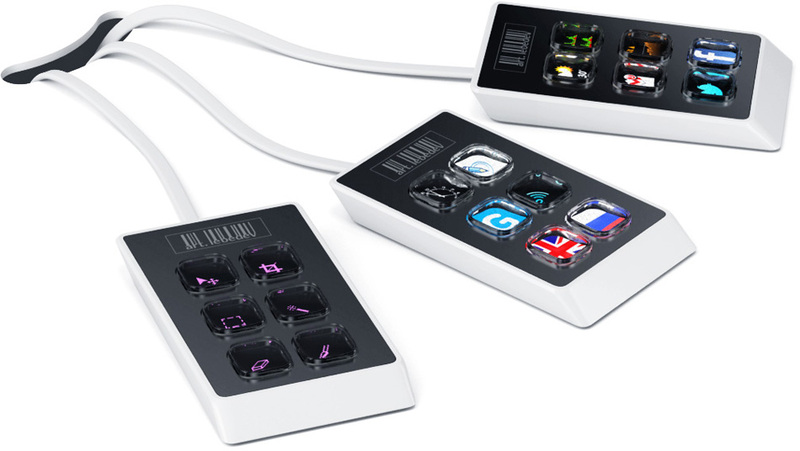 Optimus mini six is auxiliary device with six customizable keys that can be assigned any function, including displaying information related or non-related to the current program in use. Optimus mini six is perfect to use as a Tools panel, remote control, or an indicator with static or animated graphics.